Dimensions W 35-7/8" x D 34-5/8" x H 44-1/2"
Increase productivity without increasing floor space, this prover sits neatly underneath the oven for an intelligent baking centre system. 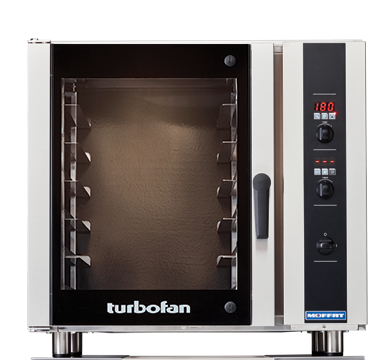 Refined to fit the new Turbofan E35 convection oven, the P85M12 is the perfect choice in power and practicality. 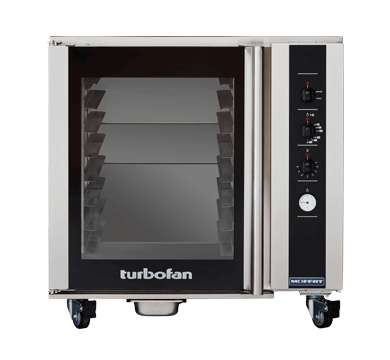 Turbofan’s trusted technology delivers accurate proving of fresh and frozen dough while accommodating 8 x 406mmx 736mm / 16” x 29” trays, or 8 x 457mm x 762mm / 18” x 30” trays with optional 18” rack set. 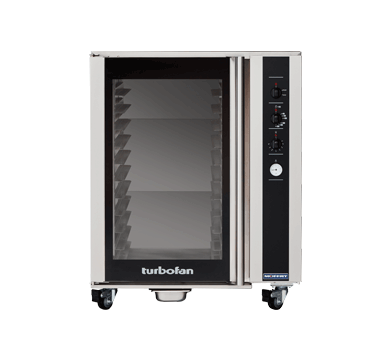 The P85-12 controls heat and humidity for accurate yeast activation and thermostat control for proving and hot holding mode. Manual controller interface offers simple and efficient access to high performance power with a mechanical thermostat for time and temperature setting.